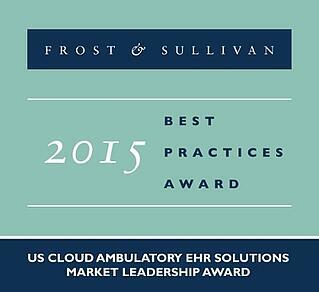 MOUNTAIN VIEW, Calif., Jan. 26, 2016 /PRNewswire/ -- Based on its recent analysis of the cloud ambulatory electronic health record (EHR) solutions market, Frost & Sullivan recognizes eClinicalWorks with the 2015 US Frost & Sullivan Award for Market Leadership for capturing the highest market share (10 percent) among all cloud-based EHR vendors. eClinicalWorks' comprehensive cloud-based technology solutions, coupled with pioneering implementation support services, have helped it firmly entrench itself at the top of the leader board. "eClinicalWorks' v10 EHR platform is a highly agile and customizable EHR suite that drives compliance, streamlines clinical workflow and aids integrated practice management," said Frost & Sullivan Research Analyst Koustav Chatterjee. "Furthermore, the company offers transparent and competitive pricing to help ambulatory practices optimize profitability, while its widespread service network reinforces its impressive brand value. More than 115,000 physicians currently use its solutions at more than 50,000 care facilities." eClinicalWorks' strategy of incorporating customer feedback in product feature enhancements has allowed it to realize early that providers are seeking a healthcare IT system that is easy to deploy, interoperable, auto-scalable, remotely accessible and, most importantly, cost effective. The eClinicalWorks v10, which was developed in response to this demand, is not only cost effective but also caters to the evolving regulatory and operational landscape. 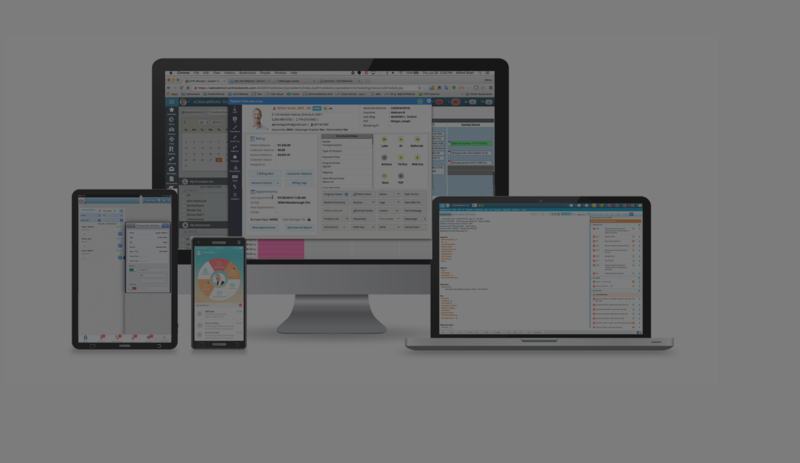 Additionally, the company introduced the platform- and device-agnostic eClinicalWorks 10e, which combines population health and patient engagement for a unified user experience. Patient engagement is another key focus area for eClinicalWorks. The company's healow suite of patient engagement tools comprises a patient check-in kiosk, online appointment booking, telehealth solutions, and mobile applications that directly connect patients to health records as well as facilitate two-way communications between providers and patients. Providers can opt for the entire portfolio of solutions or just a few components, in line with their needs and budget. Currently, 45 million patients have access to their health data via healow. One of the challenges to the migration from traditional solutions to a more robust EHR solution is the high cost of data conversion from on-premises EHRs to cloud-based EHRs. eClinicalWorks is one of the few vendors that aims to eliminate this concern by presenting free data conversion support to potential customers. Furthermore, implementation training and related services are delivered on-site at no additional cost, thus attracting business from ambulatory practices that are not convinced about the value of online training. eClinicalWorks offers award-winning product features and repeatedly ranks on the list of the top five ambulatory EHR suites in the United States. While almost 61 percent of providers fail to attest for Meaningful Use (MU) stage 2 objectives due to their unqualified incumbent vendors, eClinicalWorks has secured the second position in terms of total MU stage 2 attestations in 2014. "eClinicalWorks strives to expand its customer base and ensure consistent performance with the help of state-of-the-art technologies. Significantly, eClinicalWorks' solutions are compatible with each other and function as a single, integrated healthcare delivery system," noted Koustav Chatterjee. "The company also promotes private cloud platforms to help providers communicate securely. Thus, it aspires to neutralize the risk of data security inherent in multiple, third-party technology intervention." eClinicalWorks® is a privately-held leader in ambulatory healthcare IT solutions. With more than 115,000 physicians using its solutions, customers include ACOs, physician practices, out-patient departments of hospitals, community health centers, departments of health and convenient care clinics. Fourteen eClinicalWorks customers have received the prestigious HIMSS Davies Awards during the past eight years, honoring excellence in electronic health record implementation. The company is second largest in the country for e-prescribing. Based in Westborough, Mass., eClinicalWorks has additional offices in Austin, New York City, Chicago, California,Georgia and London.